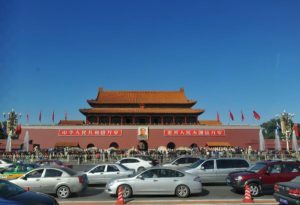 It’s understandable that the similarities between the West and modern China are rarely mentioned. Journalists write about extremes and rarely about daily life. But what annoys me is that too often, Western media reduce the nuances and complexities of modern China to black and white absolutes. It seems fashionable to put China in the spotlight of environmental pollution — even though the device you’re reading this on is made in China. Extreme images that appeal to foreign sympathies aren’t hard to find in a territory twice the size of Europe. Days of extreme air pollution in China are often documented, even though the extremity is far severe in other countries. Beijing is only 57th on the list of most air-polluted cities in the world (Shanghai is 239th). The NOS has 106 results on smog in China, and only 19 on smog in India, where it’s much more common. But the fact that India’s cities are much more polluted doesn’t appeal as much — possibly because it’s caused by a democratic regime (and there’s no glee in that). 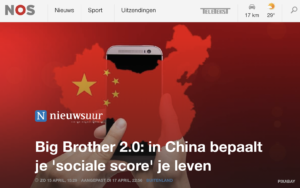 Then there’s China’s social credit programme, which is often described by Western media as a Black Mirror episode (337.000 results) or Orwellian (904.00 results). But the reporting is often erroneous and overly simplistic. There isn’t just a single credit system, there are several. One of them is Alibaba’s Sesame Credit (also known as ‘Zhima’) and isn’t very different from a loyalty programme (you spend money on Alibaba’s platforms, you gain rewards). Government programmes do exist, but they’re not national and the goals for 2020 are vague — and it’s highly unlikely that personal data will be represented by a single score, or that it’ll dictate your place in society — and anyone who reports otherwise is basing it on anecdotes and flimsy speculations. Chinese citizens aren’t afraid, they’re busier focussing on the perks. I’m not saying China’s environment is all fine, or that its social credit programme isn’t scary. Yes it’s weird Mao is depicted on renminbi bills. But my main observation after two months is that I’ve been trying to hear alarm bells which so far I haven’t heard ringing. Apart from using a VPN and slow internet, life doesn’t feel much different than that in Amsterdam. Me and the people around me are part of the global middle class that is becoming more and more uniform all across the world, thanks to globalism, consumerism and individualism. We’re wearing the same brands and using the same technology — the same ideals and dreams, and the same modern welfare diseases like stress and insecurity. If anything, Western media have been preparing me — for years — for a culture shock that hasn’t occurred in reality. I know nuance is a boring truth, but it’s the part of modern China that is rarely covered.